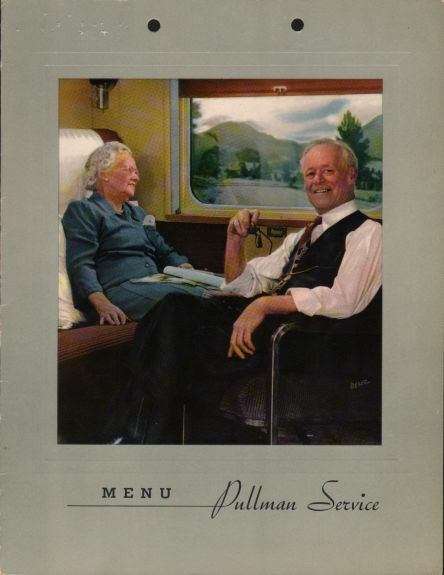 Description A nice example of a Pullman Buffet menu from 1957. Printed on a stock cover featuring an older couple sitting in their Pullman accommodation, enjoying the trip. 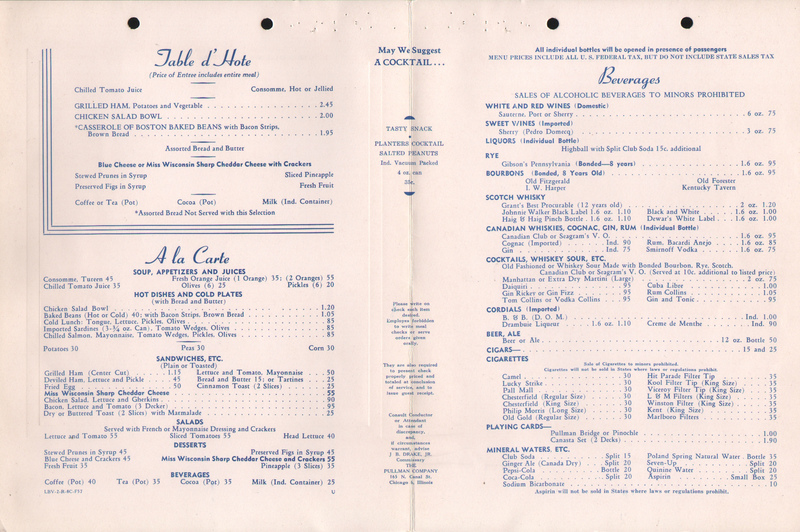 Purchased on eBay from an extremely reliable source, here is what he had to say in the item description: "Pullman Company food and beverage menu from July 1957, listing full meals both Table d' Hote and A la Carte plus beverages. 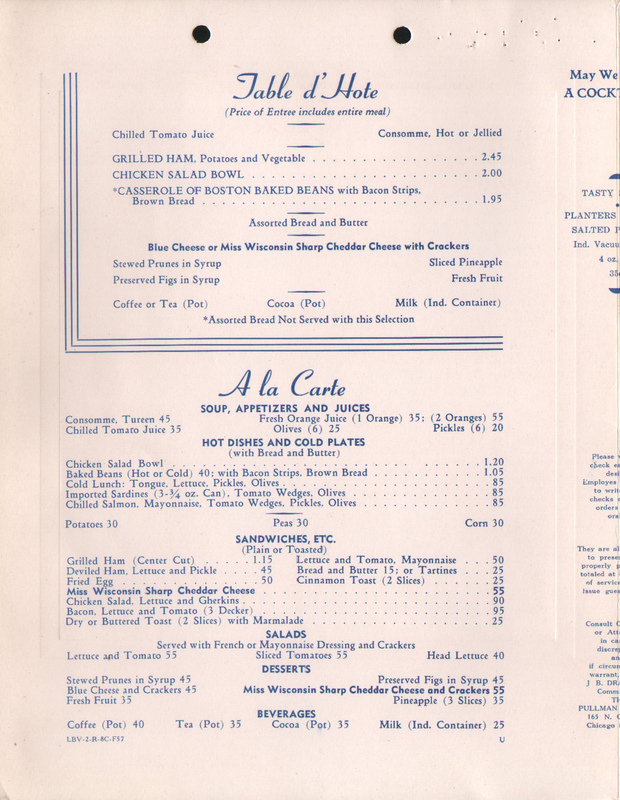 While it is not known on exactly which train or trains this menu was used, feel it was on the Southern Railway, which was about the last road to use restaurant cars offering this type of menu. 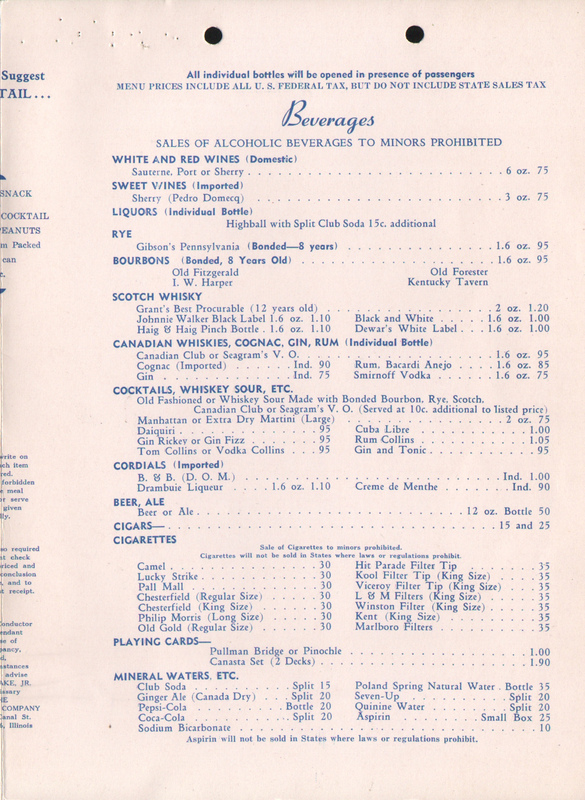 It is a four panel menu on coated card stock and it is 8 1/2 inches wide and 11 inches high. It is a file copy from the Pullman Co., files and thus has binding holes punched at the very top. 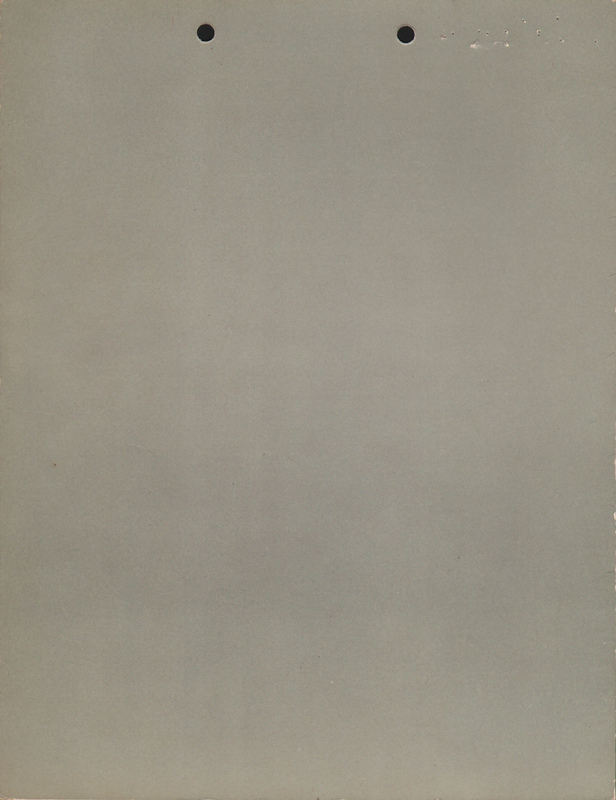 It also has some marks at the top from staples which were used to attach memo notes and etc." Menu Code LBV-2-R-8C-F57.